It was my idea, but Jack did the cooking. I watched, though, so I can tell you the gist of how to make this glorious dish. Saute a couple cloves of finely minced garlic in olive oil until soft and starting to brown. Add some flour...a couple tablespoons I reckon, and cook it a little until everything forms a paste. Pour in some (1 1/4 cup-ish)fat-free half & half (really! ), and stir and heat until there's no more lumps. 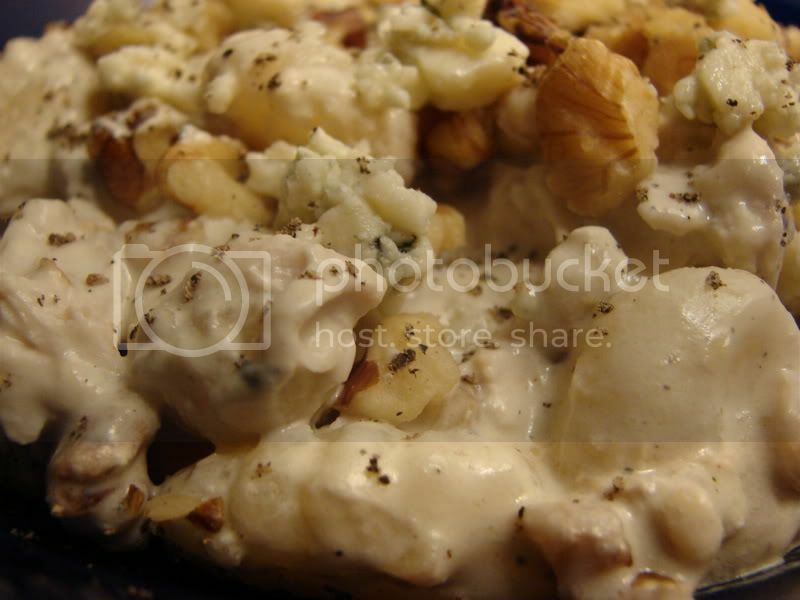 Stir in some crumbled Gorgonzola cheese...about 1/3 cup, until it melts. Add cut up cooked chicken...we used two breasts from a rotisserie chicken, and a handful of walnuts. Stir in cooked gnocchi, heat through and season with salt and pepper. 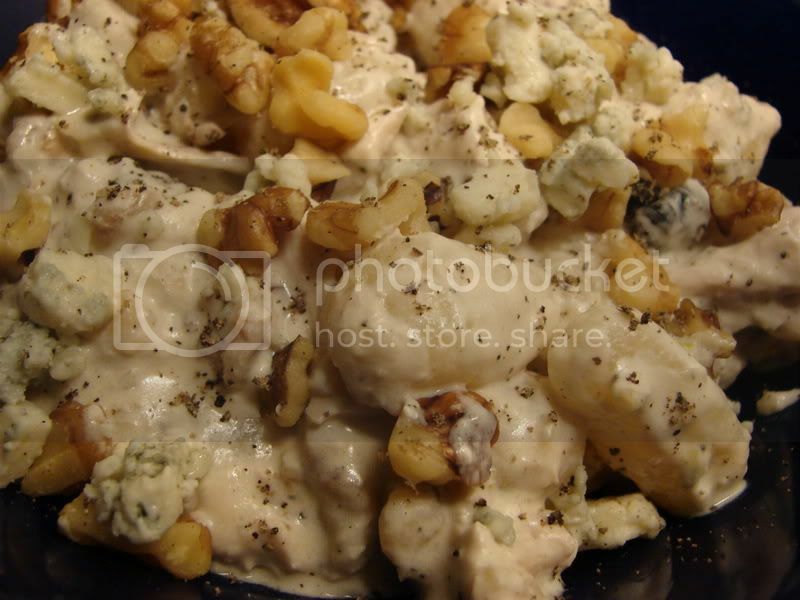 Sprinkle walnuts and Gorgonzola to serve. Easy! Rich! Fantastic!